Minnesota’s Boundary Waters: Ancient woods, timber wolves, waters… and mining pollution? Speak out to protect Minnesota’s beloved Boundary Waters Canoe Area Wilderness from toxic mining pollution. 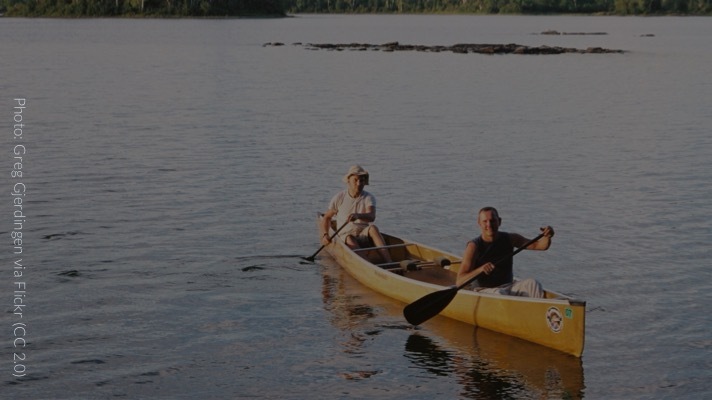 Even in a state known for its beautiful lakes and waters, people know that Minnesota’s Boundary Waters Canoe Area Wilderness is something special. Please sign our petition and urge President Donald Trump to halt the federal study and permitting activities associated with mining in the Boundary Waters area. Earlier this year, more than 18,000 conservation-minded Environmental Action supporters called for permanent protections from such mining activities.5 But with the Trump Administration seemingly still allowing mine permitting and review to continue,6 it’s time for us to step up the pressure to stop these mines and protect this special place. You’ll help raise public awareness about the threat to this special place and grow the movement to protect this special place. The more people we have talking about the need to protect the Boundary Waters, the more successful we’ll be in this campaign. Today is a great day to make a difference for a truly special, wild American place. Please take just a couple of moments to add your name now. Sign the Petition1. “Superior National Forest: Wildlife of the Superior National Forest,” USDA Forest Service, retrieved online July 12, 2018. 2. Adam Fetcher, “Why Minnesota can’t afford mining near the Boundary Waters,” Minnesota Post, March 28, 2018. 3. Richard Moe, “Opinion: Rushing to Ruin the Boundary Waters Wilderness,” The New York Times, May 17, 2018. 4. “Sulfide-Ore Copper Mining Creates Unacceptable Risks to the Boundary Waters,” Save the Boundary Waters, retrieved online July 12, 2018. 5. Environmental Action, “Defending Minnesota’s Pristine Boundary Waters,” Environmental Action Blog, June 12, 2018. 6. J. Patrick Coolican, “Businesses sue Trump administration over mining near BWCA,” Minneapolis Star Tribune, June 22, 2018.